This series is an absolute must for every believer who desires to live in resurrection power! You don’t know New Testament faith until you know what happened from the cross to the throne! 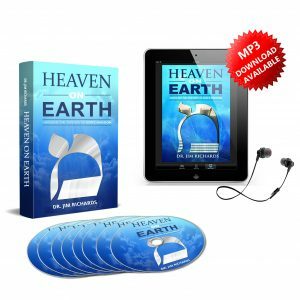 Every aspect of salvation, i.e. born again, healed, delivered, blessed, prospered, protected, made whole, set apart, and all that’s promised in Christ, is dependent on what we believe about the resurrection of Jesus. Most twenty first century Christians believe in the historical account of the resurrection of Jesus while rejecting the biblical account! Salvation wasn’t finished on the cross! We don’t believe the biblical account of the resurrection until we believe the biblical account of His death from the cross to the throne. That’s why Isaiah 53, which gives God’s account of what occurred on the cross, starts with the words, Who has believed our report? Salvation wasn’t finished on the cross; salvation was finished after Jesus sat down at the right hand of the Father and received the inheritance which He freely shares with all who believe. This was one of the teachings that brought about the most incredible changes in my and my wife’s lives! It corrected so many wrong, unscriptural views of what was accomplished by Jesus on the cross. We believe that it is a requirement for a proper understanding of who Jesus is and why His death, burial and resurrection are the “too good to be true” news! Get it…now! This series was so incredibly beneficial to set/reset correct beliefs about Jesus Christ, salvation and the simplicity of faith in His exchange with us that I personally believe it should be standard issue teaching for every believer. It continues to revolutionize my relationship with Jesus to this day and is one of the staple tools I reach for whenever I need to be refreshed or reminded of the depth of His love for me and the power for righteous living that is available to me. If you really want to gain understanding of the value of your salvation, this series is one of the best investments you could make, hands down. 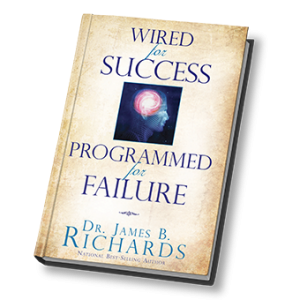 A friend loaned me this CD set 2 years ago, my first introduction to Dr. Richards and his teachings. It changed my life! My husband listened with me and we started really studying the bible instead of just following what other people taught us. 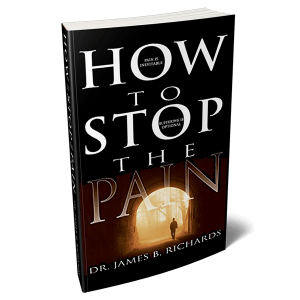 We now own our own copy as well as many others of Dr. Richard’s teachings. We have given many of his CDs as gifts and many of our friends have changed how they see our Abba Father, our Savior Yeshua (Jesus) and the Holy Spirit and our relationship with Him. We are grateful!! Do we want to live the abundant life God has given us through Jesus-Christ? We say “Yes” but we need to know exactly what it is all about. Better off checking the foundation of our faith! For this, we really need to place our faith in what Jesus has accomplished and be ready to give up the lies we believe, even unconsciously! 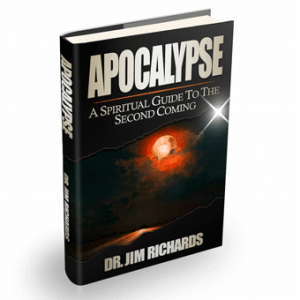 Thank you so much Jim Richards for this series! As usual, your teaching is clear, easy to understand and based on the Word of God. And that changes everything!! This makes me love God more and more (and my neighbour!!) and my heart is burning inside of me! Listening to this series opens my eyes again and helps me refute what is not of the Gospel! And what is not in the mind of God at the same time! I wish the same for each and everyone! I started listening to this series a year ago and have listened to it about 3 times since. It is foundational to my faith in the sense that when I go to God it is through Jesus and what he achieved for us through his life death, burial and resurrection. I found it to be a message that is transforming me as I meditate on the reality of Christ in me. 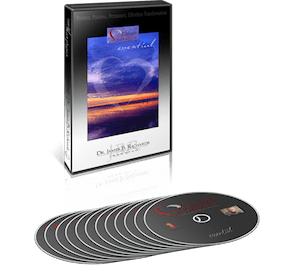 Thankyou for your online series that you broadcast this Easter time and this wonderful companion CD set that compliments it. You really have helped define how I see God and have bought others to the reality of the cross through me. Without you I would often be going through the motions with little power in my life. 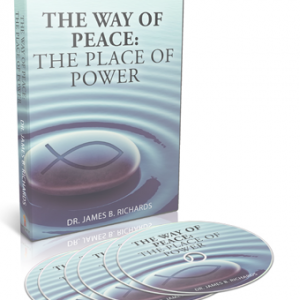 I could say so much more about your core teaching in this series. Thankyou so much and I would endorse this teaching for anyone who wants to develop their relationship with God, Jesus and Holy Spirit. I would highly recommend this series – I went through it twice – could not believe what I missed the first time – took good notes – what I am seeing now is how many people mainly talk/teach about the historical Jesus – it is a life changing series – a God thing how I even heard about this series – THANK YOU JESUS! This is a pivotal series in our walk of faith in the here and now! Dr. Jim Richard’s teaching on what actually happened on the cross and the benefits we received is based solely on scripture. It completely changed our hearts and our perspectives on what we have in Christ, right NOW, here on earth! This series is foundational to any believer’s faith! This is such an incredible learning experience. I’ve never looked at this event as something that changed the whole of human history. Absolutely essential reading/listening! Thank you. I praise God for the abundance of teaching my husband & I are receiving from the books & audio products of impactministries. It’s life changing & I am overwhelmed by the love & plan God has for us & what He really achieved for us! Can’t get enough. Thank you, thank you for feeding us Life!! This is the most helpful explanation of the gospel that I have ever heard. Thank you for helping me to become established in my belief of what the Bible teaches about all that was accomplished by the death, burial and resurrection of Jesus Christ and what it means for me today. May God bless your ministry in accomplishing your statement “changing the way the world sees God”. I started listening to this series May 19, 2018. I have listened to the series again and again since because I cannot get enough of this truth. Some precious nuggets of truth comes up every time I replay segments. I am so captivated by the death, burial and resurrection of Christ Jesus our Lord. 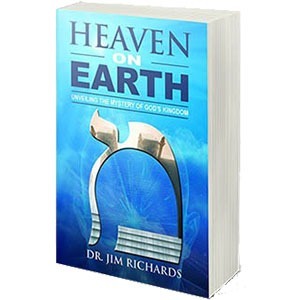 The clarity in which Dr. Richards taught, made me “see” truth I never saw before like the total humanity of Jesus. I always accepted the truth that Jesus became man but after listening and pausing and repeating certain sections explaining Jesus’ humanity I cannot inhale this truth enough. I think about it in utter amazement and awe. #4 Death by Judgment.. I have shared by listening together with my family, and on separate occasions with friends. The news is so good, I am getting the understanding and feeling what the joy of my salvation means. I have been happy and joyful since I started to listen with my heart. I am revived anew like life/joy is exploding inside of me. I bought the download so I can take my mp3 wherever I go and also been watching it on the Cyberchurch. I do not want to miss anything. Thank you Dr. Richards. I first heard of you April 28 2018 when you had the Hebrew Workshop that I participated online. I thank our Lord for the treasure trove that is in 3 Days that Changed the World. As others have shared, this teaching is foundational, and is a must for every believer. If you don’t understand what Christ did through the death, burial, and resurrection, you will miss out on the power and freedom you have in Him. This teaching corrected so many incorrect beliefs about what Christ did for me at the cross, helping me to understand that He died as me. 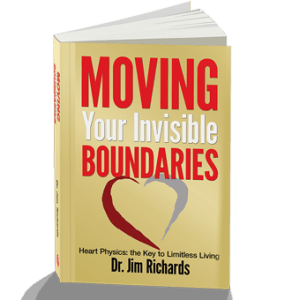 I would highly recommend New Beginnings Heart Physics series as well. I have completed it twice and there is nothing like seeing yourself with Christ on the cross, in the tomb, and rising from the dead. It will help you see yourself in Him like you never have before. I cannot express how much Dr. Richards’ teaching has impacted my life and all those I come in contact. I know who I am in Christ and I see God as He is! Thank you! Disappointed – I made mistake – was under the impression that the product was a Video – To much reading……. Hi Daniel, I’m sorry you feel that you ordered the wrong thing. MP3s are audio files, not video files. The only way to get videos of the series would be to order the DVDs and pay shipping. 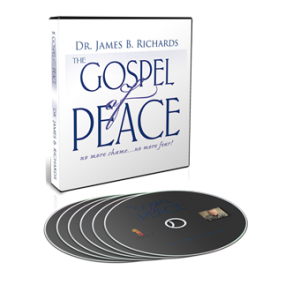 If you want to change your order you can email julie@impactministries.com and she can apply the amount you paid for the mp3s as a discount to the extra cost of the DVDs. I’ve been in a variety of churches for 50+ years, served in the USAF as a chaplain’s assistant for 20 years, and am a “faith and grace” bible college graduate… and never heard anything as important as this series. If this was presented to every new believer, the body of Christ would be the powerful force God intended it to be. For those who’ve been “Christians” for years, this will clear up so many misconceptions and so much deception and put you on the path of right thinking. Thank you so much for sharing. I agree what happened at the cross is the most important and least know message in the New Covenant. I’m writing a book and developing a special workshop around this content. This will give me the opportunity to go into other things that I didn’t get to cover in this. Blessings. I’ve been a believer for 55 years and this teaching is the most powerful one I have ever heard. 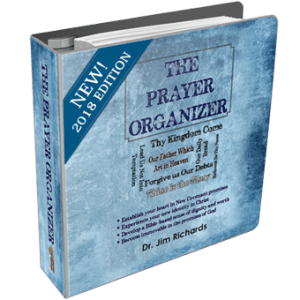 This takes the faith and grace message and provides tools to really activate your faith in God’s grace as we merge our identity in the death burial and resurrection of Lord Jesus. This was the best money I have ever spent in my whole life. Thank you Jesus and thank you Jim.